Although they don’t pose a direct threat to humans and won’t damage property, springtails can be a real nuisance for homeowners. 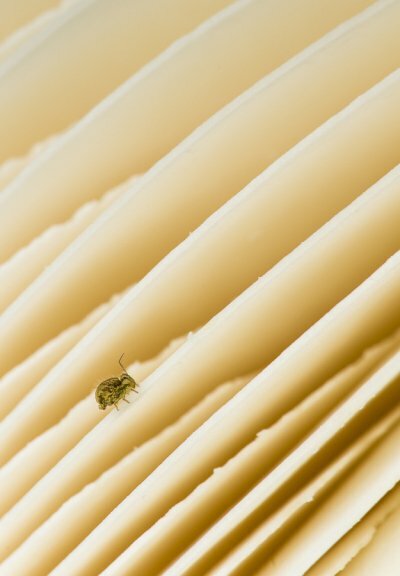 They are tiny, but they tend to congregate around sources of moisture and, if left untreated by a bug exterminator, you could find yourself with a large number of them gathered around your home in a short amount of time. For that reason, you should reach out to an exterminator in Crystal Lake to have springtails removed once you notice them. You should also familiarize yourself with them so that they don’t cause future infestations. Here are some facts you need to know about springtails. Many people confuse springtails for fleas because of how small they can be . They are only about one-eighth of an inch long when they are fully grown, and they are usually dark colored, though some of them can be white. They do not have wings, but they can jump as high as several inches. Where do springtails gather most often? Springtails are attracted to water and tend to gather in places where moisture is present. This is why many homeowners find them inside of damp basements or near plumbing leaks. Often times, fixing a moisture problem is the key to getting rid of a springtail infestation. If you have one springtail in your home, you probably have many of them because they tend to travel in large groups. This makes them a nuisance, but the good thing is that springtails will not chew through food, clothing, wood, or furniture like other insects. They will get in the way, but they won’t bite or cause you or your pets any harm. How should a springtail infestation be handled? Eliminating springtails from your home can be as simple as eliminating the moisture that the springtails are attracted to. However, you can also ask a bug exterminator from a professional pest control company to come in and get rid of them. Keep an eye out for additional infestations moving forward to make sure they don’t return.